Broccoli and Osteoarthritis: Could the superfood fight against arthritis? Home » Anti-Aging » Arthritis » Broccoli and osteoarthritis: Could the superfood fight against arthritis? 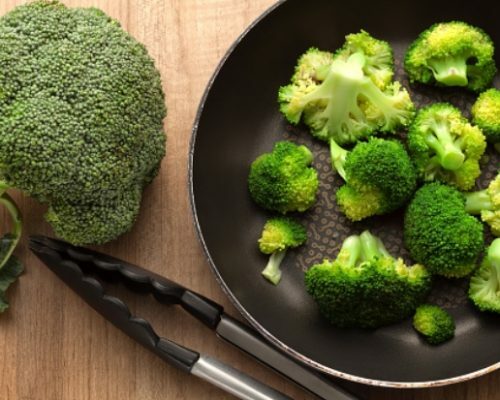 “A broccoli serving a day will keep osteoarthritis away.” This may seem like a far-fetched statement, and truth be told, it is a bit of an exaggeration, but there is mounting evidence that there’s some truth behind it. Considering the fact that there is no known cure for osteoarthritis, and that broccoli is readily accessible and easy to incorporate into your diet, not to mention highly nutritious, there really is no reason not to start consuming it regularly. Osteoarthritis, which is also referred to as degenerative joint disorder, is the most common type of arthritis and approximately 12 percent of the American population over the age of 25 suffers with it. Osteoarthritis is a disorder that affects joint health, and it leads to a degradation of joints and a loss of bone cartilage, particularly in the hands, feet, spine and hips. The most common signs of osteoarthritis include pain and stiffness in the joints. Over time, the joints become stiffer and it becomes harder to move, and this joint health disorder can eventually lead to debilitating disability. Since there is no current cure for osteoarthritis, people who suffer with this type of arthritis are offered two options – pain relief methods or joint replacement surgery. But now there is evidence that broccoli may help to reduce the risk for, and the symptoms of, osteoarthritis. Studies are underway to determine whether or not broccoli may play a role in the treatment of osteoarthritis. How broccoli can fight osteoarthritis? When you eat broccoli, it results in a high level of sulforaphane in your blood. Sulforaphane has strong antioxidant properties, which means that it helps to kill harmful free radicals in your body and it prevents free radicals from causing damage and death to your bodily cells. There has been a lot of research on the health effects of sulforaphane, and it has been found to help reduce the risk of cancer, fight high blood pressure, reduce cholesterol, protect the heart, activate the immune system and protect the skin from sun damage. Sulforaphane has also been found to block the enzymes that cause the destruction of joint health and the development of osteoarthritis. Despite this fact, researchers are still unsure of whether or not enough of the sulforaphane actually enters the joints from eating broccoli, in order to measurably reduce osteoarthritis risks and symptoms. Researchers at the University of East Anglia began an investigation in 2010 to determine if consuming broccoli affects the risk and severity of osteoarthritis. They found that broccoli contains high levels of the naturally occurring sulfur compound sulforaphane. Although sulforaphane is found in a variety of foods, including cauliflower, cabbage and kale, the richest source is broccoli sprouts. Results of the University of East Anglia study have not yet been publicly revealed, but Science Daily states that sulforaphane may act to slow and/or prevent the development of osteoarthritis.